At a school known for its nonconformity, marriages–one of the more traditional societal norms–happen more than one might imagine. In the spirit of innovation and our [u]niquely brilliant motto, several students have tied the knot as a way of gaming the system for off-campus approval or federal financial aid benefits. But most New College students who are in some sort of long-term relationship are not married. Some couples choose to live together, on or off campus. Others do not. What kinds of arrangements do students have with their long-term partners and what benefits do these arrangements offer? Of the 58 New College students who responded to an online survey, five percent were married and 20 percent were engaged, although several students noted that they were getting engaged in the near future or planned on getting engaged after graduating. 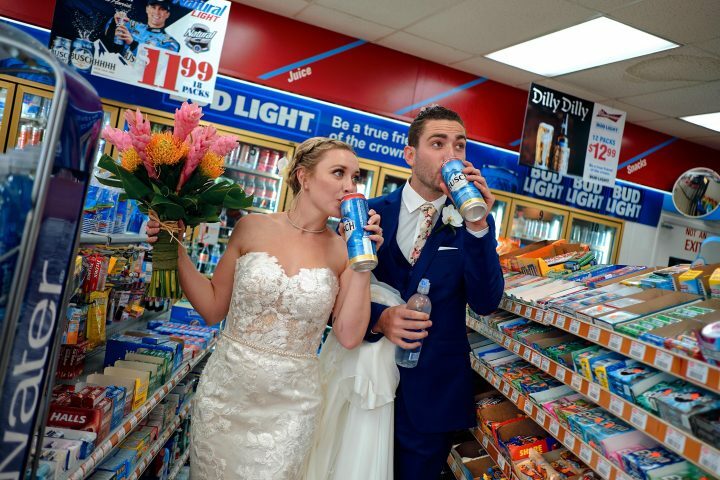 Alums Eilis Ryan and Taylor Barton recently married at the South Florida Museum and stopped at the Shell Gas Station on the way to the ceremony for a last minute Busch. In terms of national statistics, this percentage of marriage is low, although the number of respondents to the survey is not fully representative of the student body. “Out of 20,928 undergraduates surveyed by the National Center for Education Statistics in 2008, about 18 percent reported they were married,” CNN reported. According to the online survey, 35 percent of New College students who are in a long term relationship, but not married or engaged, live together, while several said they have lived together on and off or spend most nights together but do not officially live together. About 23 percent of students who lived together, but were not married or engaged, had lived together for less than a year. Thirty-one percent had lived together for one to two years and four percent had lived together for more than three years. For many students that have decided to live together or enter the legal union of marriage the decision has been based largely on the financial benefits. Thesis students Sarah Cohen and Jeremy Cohen got married last March at the Sarasota County Courthouse. It was a small ceremony: just themselves, their parents and their two roommates, one of which officiated the wedding. They met at New College, in the same orientation group. They had a class together their first semester, Calculus with Theory. Jeremy says they didn’t talk much at first, but began to in the spring. They decided to go to an opera together. “There you go,” Sarah whispered, beside him. Jeremy’s and Sarah’s parents do not support them financially in college. However, their parents’ income is still noted on the Free Application for Federal Student Aid (FAFSA). Sarah and Jeremy lived together on campus during their second year and moved in together when Sarah was approved for off campus the following spring. Alum Larry Vernaglia (‘87) remembers many students getting married for financial reasons. The cost of tuition for an out-of-state student at New College is $29,944, more than four times the cost of in-state tuition at $6,916. Housing, and the costs that come with it, is also a motivating factor for New College students to take commitment one step further. Third-years Julia Scully and Briana Luis dated for four months before deciding to move in together. They applied for a domestic partnership within the city of Sarasota, so that Scully could be granted off-campus housing. Third-years Amanda Markee and Chloe Baron met each other in the I. M. Pei residence halls, as strangers who had been randomly assigned as roommates. Over the course of their first year, Markee and Baron eventually realized they had feelings for each other and began dating around Valentine’s Day. They lived together “unofficially” their second year, although on paper they lived in different dorms. Last summer, they subletted a room together in Sarasota. This year, they live in First Court together, officially. A Pei double is one of the more inexpensive on-campus housing options. Pei triples, in which three students share a room, and Palmer B doubles, in which two students share a room, are the cheapest room options a student can select. Markee has only good things to say about living with her partner. The last question on the online survey asked if the student themself ever thought about getting married. Many responses cited reasons of health care benefits and insurance and the legal and financial benefits of marriage. Some simply liked the idea of committing deeply to someone they love. Marrying someone or moving in together can offer numerous benefits to current students, like increased financial aid, tax benefits and cheaper living costs. In the end, most students seem to agree people should do what makes them, and who they love, happy. 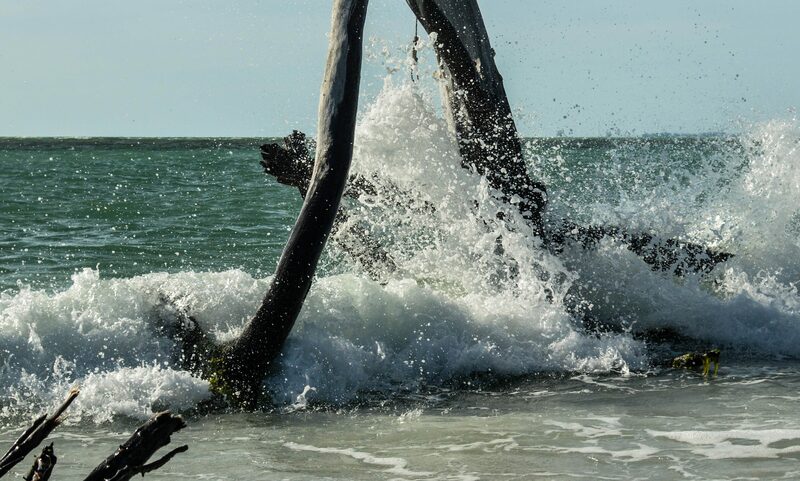 Information for this article was gathered from cnn.com.